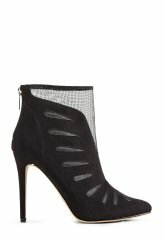 Mixed-material looks are all the rage this season, and thi..
Leaves are falling, which means boots are calling! From your..
From your desk to drinks this classic silhouette has you cov.. So classic but with chic modern flair, purely polished perfe..